Cuba, a place of intrigue and fascination, is now on the Rec Diving trip list! And you can now be among the first to explore this Caribbean island that was long off-limits to U.S. residents by joining Rec Diving on a special Oceans for Youth Foundation People-to-People education program. During each of our featured 10-day visits, we begin in Havana for a unique cultural exchange to provide an understanding of the setting in which Cubans experience their own marine environment. Seven days is then spent in the Gardens of the Queen National Park, Cuba’s first marine park, where we’ll accompany Cuban marine specialists and be able to scuba dive in one of the healthiest marine ecosystems in Cuba. We’ll stay off the southern coast aboard the new Jardines Aggressor and experience first-hand the importance of this ecosystem. We’re featuring two full boat charters at the height of the spring diving season. If you want to be among the first divers or snorkelers to experience Cuba on the new Jardines Aggressor, come with us on one of two special trips starting April 28 or May 26, 2016. 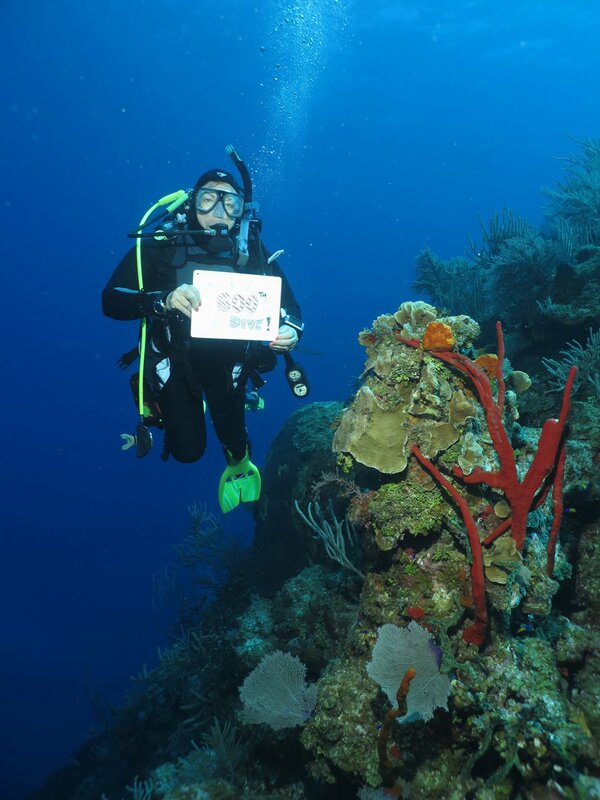 This is a special trip for Rec Diving as we’ve long dreamed of diving Cuba’s Gardens of the Queen. We’re super excited to be able to experience direct People-to-People interactions between Americans and Cubans (youths and their parents; local marine officials; and marine professionals) to benefit the Oceans for Youth Foundation. The Foundation takes pride in the hope that these meetings between and among American and Cuban participants will vet out those youth who will someday be the guardians and defenders of the marine environment. This is a truly unique opportunity for us as divers and snorkelers. What are the Rec Diving premier group trip dates? How do I get on one of these trips? Contact us at Rec Diving. 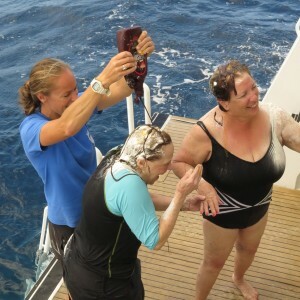 Remember, Dive Travel is our specialty (escorted groups as well as small groups and individuals). We are happy to arrange your own trip for you and your friends on dates of your choice (based on availability). Oceans For Youth will provide you with an authorization letter that we issue under our license from the OFAC office of the US Treasury Department. How does the People-to-People program work and do I have to apply to the US government for a permit? If you are traveling under the Oceans For Youth OFAC license, you are required to strictly follow the program outlined that is detailed in the authorization letter. Am I able to write off any portion of my trip on my taxes for the charitable work I will be doing? Travelers may download the tax letter after final payment has been made which will provide documentation of your charitable work on behalf of Oceans For Youth Foundation (501C3), and our Cuba Marine Conservation Program. 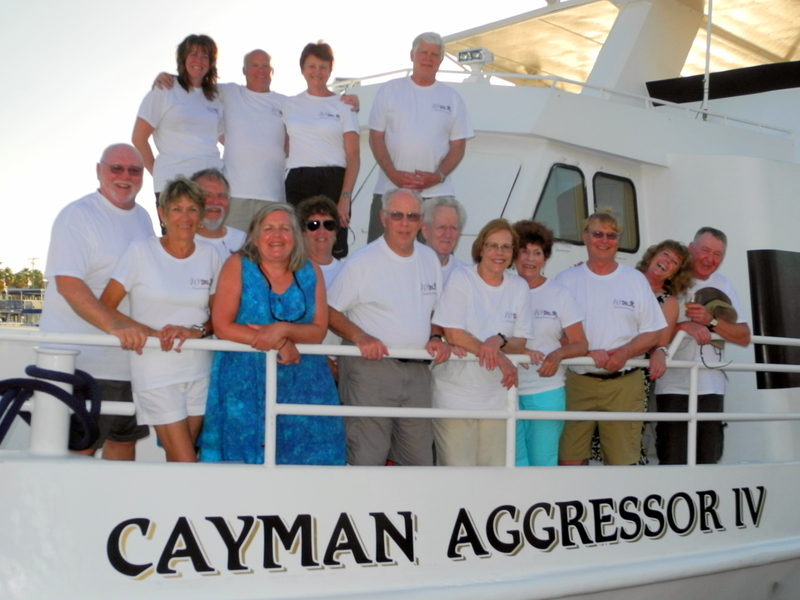 Look what happened in Cayman! What’s a celebration without cake? Right?!? 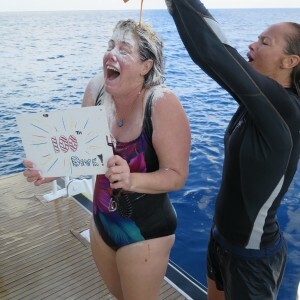 That’s what we all thought as the crew on the Cayman Aggressor literally made a cake on the heads of three Rec Divers who achieved milestones dives! They were super sticky, but all super good sports! 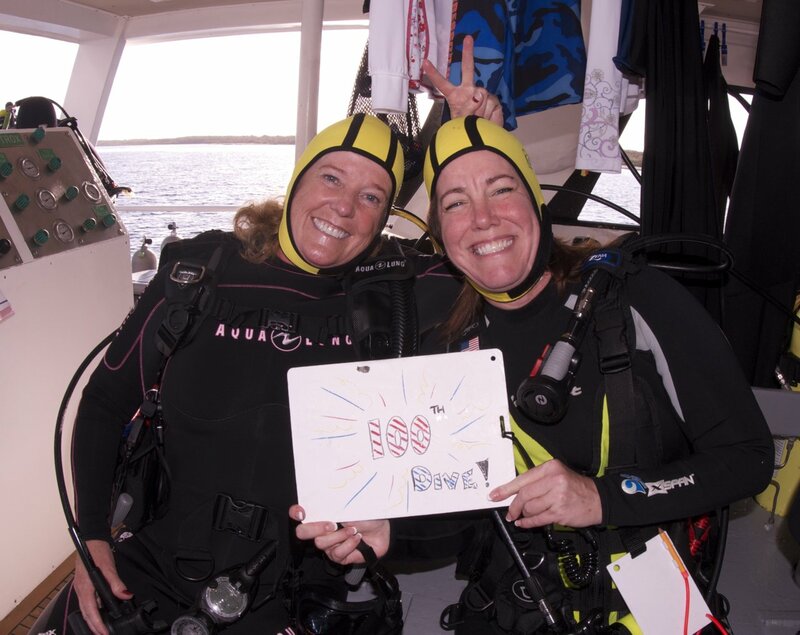 Congratulations to Julie for achieving her 100th dive, Marilyn for completing her 500th and Ellen her 600th! Wow! It really was an action-packed week filled with great diving with great friends! Rec Diving founders Mike and Linda Kohut lead this special 40th anniversary dive trip with some of our most treasured long-time dive buddies, many who have been with us from the beginning. 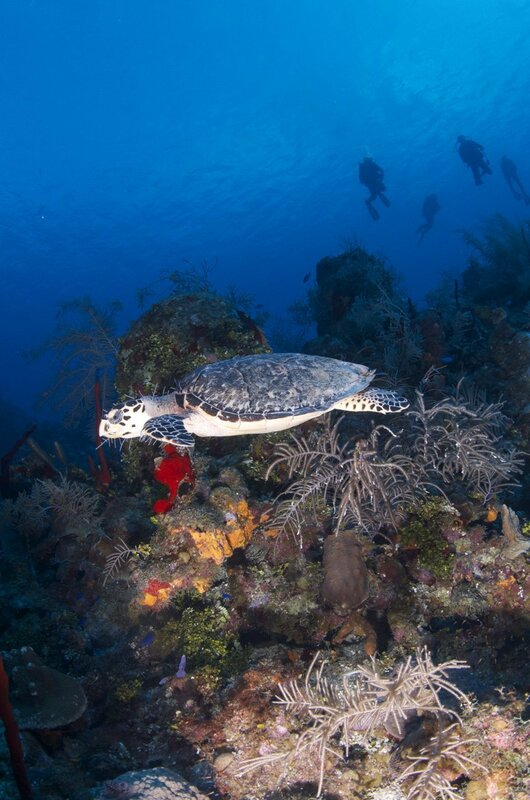 After 40 years of diving the Caymans, we’re happy to report our favorite dive sites were as beautiful as ever. The reef was teeming with fish life, turtles, sting rays, jacks, sharks, tarpon, eagle rays and beautiful gorgonians growing out into the blue. Night dives were enjoyed with the usual cast of characters. Green morays, lobsters galore, sleeping turtles, sharks and octopus all made an appearance. Little Cayman’s Bloody Bay Wall was a highlight of this trip. Incredible wall diving with such healthy coral! What a week! But as always it’s the great group of divers who join us every year who really make trips like these extra special. So thanks to everyone who made this another fantastic Rec Diving adventure! 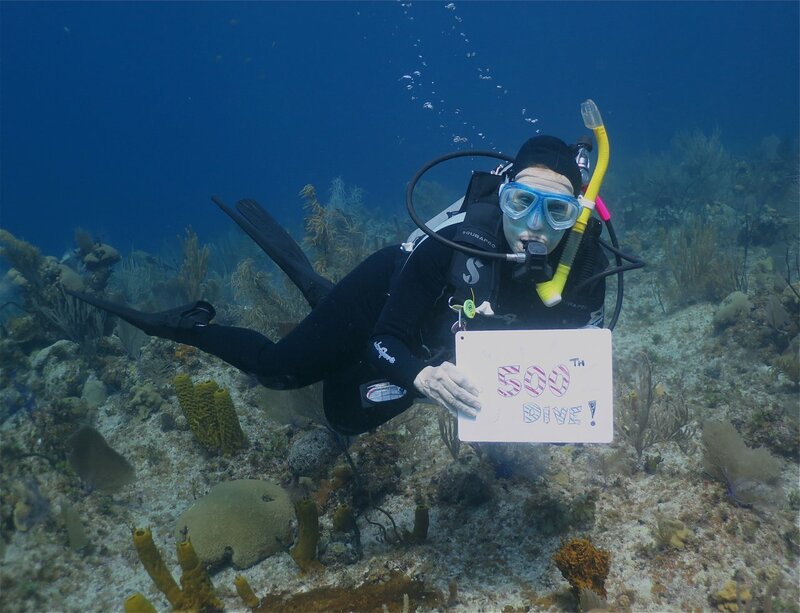 https://www.recdiving.com/wp-content/uploads/2016/04/MikeLinda640cayman-870x350.png 350 870 Diane Richards https://www.recdiving.com/wp-content/uploads/2017/09/RecDiving_logo.jpg Diane Richards2015-04-02 19:35:282017-09-19 18:58:13Look what happened in Cayman!